The new Ophir® SP920G GigE Silicon CCD High Resolution Camera is designed to capture and analyze wavelengths from 190 nm - 110 nm for industrial laser beam profiling applications. With a compact design, wide dynamic range, excellent signal to noise ratio, and a high-speed GigE (Gigabit Ethernet) interface, the camera is ideal for measuring CW and pulsed laser profiles in applications such as laser cutting of medical devices or the welding of dissimilar materials. 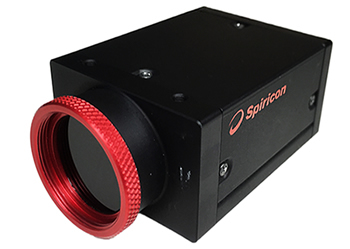 The SP920G beam profiling camera delivers 1624 x 1224 pixel resolution with a 4.4µm pixel pitch for measuring beam widths of 44 μm - 5.3 mm. The high-speed GigE interface allows for higher speed combined with the lower costs, broader compatibility and readily available Ethernet cables. A photodiode synch is included to capture scattered laser light at up to nanosecond pules rates. For additional features and specifications, download the available datasheet.